Christmas is over for this year. I’m not a big Christmas fan. Sorry. The shopping is awful. I never feel like I’ve selected the right gifts or enough of them. The house decorating feels onerous. And most Christmas music, for some reason, just makes me sad. Then I always feel like a bit of a freak because I'm not just loving the holiday season. But this year went well and the holiday was lovely. I did almost all of my shopping online and I reduced the number of gifts given. 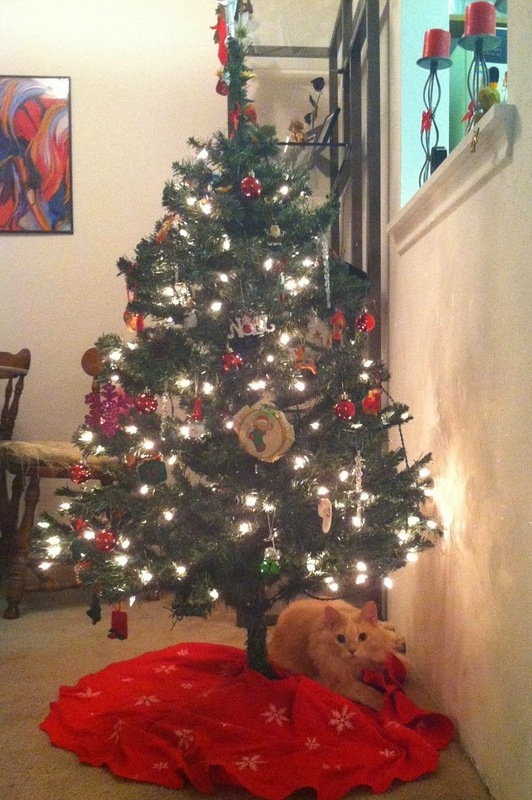 We opted not to put up a tree since we weren’t having anyone over to see it. Instead, we just put up a little fake tree on the fireplace stoop. I didn’t listen to much Christmas music. My daughter had us over for dinner along with my brother and sister-in-law from North Carolina, their single son, their married son and wife and two-year-old boy, and one of my sons. My daughter, who is just the most fabulous daughter ever, made an amazing dinner—filet prepared as a roast and served with mustard and horseradish sauce, sides of potatoes au gratin (not from some crummy mix but made from scratch! ), roasted carrots, roasted broccoli, salad, and homemade popovers. I contributed a pimento dip with crackers and artichoke squares for the hors-d’oeuvres and two desserts—boccone dolce and peppermint chiffon pie in a chocolate krispy crust. Both desserts were quite spectacular, if I do say so myself. A few tips: Make the shell first and put it in the fridge. In fact, it can be made hours ahead. 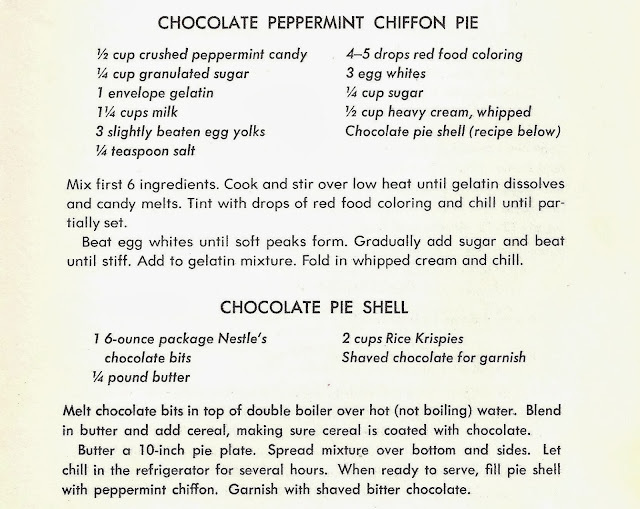 For the chiffon filling, use the candies that are round and white with red stripes. Candy canes will also do. Crush in a processor. When you are heating the first six ingredients, take your time. 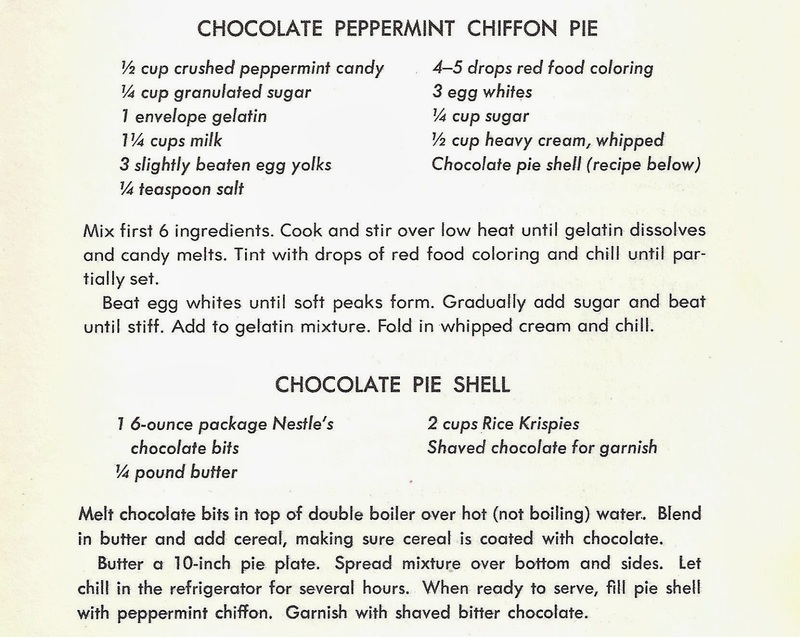 The gelatin must be completely dissolved or the chiffon will not hold together as it should and you'll get some little jelly-like lumps. No fear, though, it will still be delicious. Finally, the egg whites and the heavy cream must be beaten until stiff. Otherwise, all is in vain. Now I’d like you to write a poem about pie or some other tasty dish. Why? Because I’m co-editor of the upcoming Food and Women issue of Adanna Literary Journal. The submission period is open from now until February 1. Check the guidelines here. And then please follow them. (I know that sounds snippy, but it’s amazing how many people just ignore the guidelines and that usually means more work at the receiving end—unnecessary, annoying work. And you don’t want cranky readers, do you?) We are not reading anonymously, so be sure to include your contact information on each page of your submission. Now get out your pen and get cooking. Poets love nothing more than books. A book is always the right gift for a poet, and if it’s a poetry book, then it’s the perfect gift. 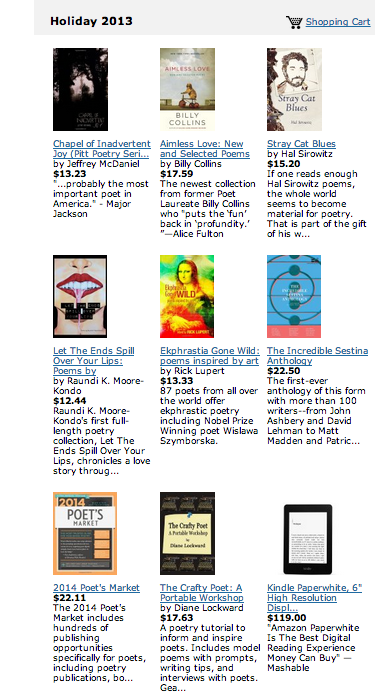 We poets devour books of poems, but we also love craft books and prompt books. Why? Because we’re always honing our skills and always looking for new ideas for poems. So I have a trio to suggest for your poet pals. And don’t forget to be good to yourself as well! Now some of you might wonder why I’d be recommending craft books other than my own. 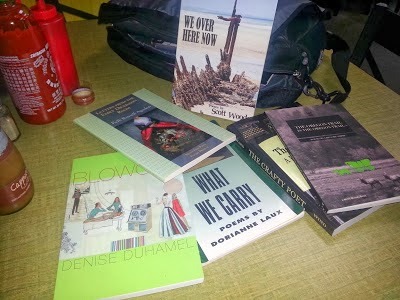 Here’s why: Most poets need and want multiple books on craft. We can’t get enough of them. My own shelves are loaded with craft books. Each one has something to offer that the others don’t. That’s certainly true of the three I’m about to recommend. Together, they should keep you and your friends growing and writing for a long time. I have them arranged here in what seems to me a logical order, from craftiest to promptiest. 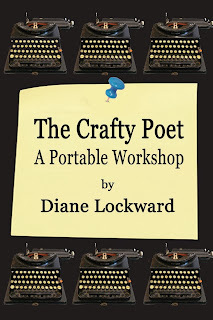 This book includes craft tips, model poems, and prompts based on the craft elements in the model poems. In addition, each of the ten sections includes a Q&A with one poet about the craft elements in a single poem. Each section ends with a short bonus prompt that can be used over and over again. The material is organized by craft concepts such as Diction, Imagery / Figurative Language, Line / Stanza, and Syntax. 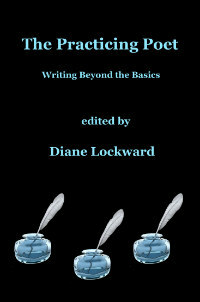 Fifty-six poets, including 13 former and current state poets laureate, contributed the craft tips, model poems, and Q&As. 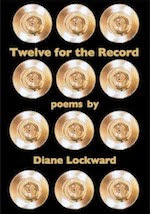 An additional 45 accomplished poets contributed sample poems written to the prompts, two for each prompt. The book is craft-oriented and is ideal for classroom, workshop, or individual use. Of the three titles recommended here, this one places the most emphasis on craft. I received your The Crafty Poet in the mail today and found that I was only a few pages in when I was compelled to go get a pen. Not sure why, since I just held it in my hand while I read, but I'm pretty sure it had something to do with sitting down to a feast without a fork. 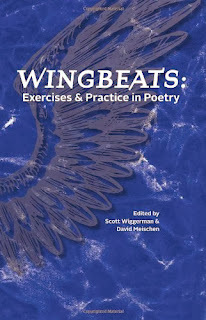 Wingbeats is a fabulous toolbox of innovative and practical ideas that literally every teacher of poetry workshops and at every level, from elementary poets-in-the-schools through the graduate MFA, will find indispensable. Covering a vast range from image to sound to form, the exercises are all concrete and clearly presented—a marvelous way to mine the imaginations and experiences of today’s most dynamic poets. Invaluable! No teacher, no aspiring poet should be without the gentle guidance of this book. This is sophisticated play. I found exercises that have taken me beyond my ordinary patterns and limitations. Wingbeats will get your pen moving. The variety of prompts also encouraged creative exploration of topics I might not have considered fertile ground for poetry (candy cigarettes, anyone?). For me, this is the book’s greatest gift to its user: its power to dig deep inside the rabbit holes of your poet’s brain and/or subconscious and pull out work that might never have been pulled out without it. 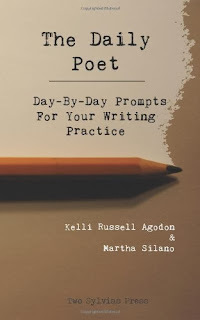 Whether you write to prompts on your own or you use them when you meet with writing groups or with a friend at a coffee shop, there is something here for everyone. If you need to select just one of these books, I hope I've given you enough of a description that you can choose. But what I really hope is that you will choose all three.